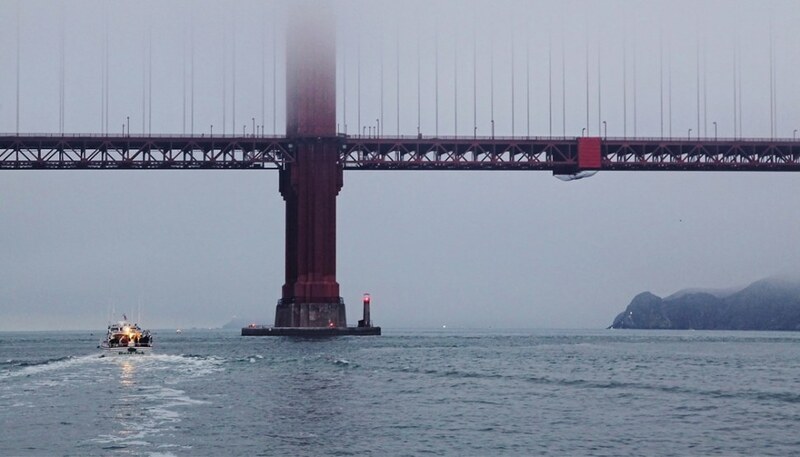 Interested in trying a Winter swim in the San Francisco Bay? 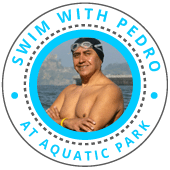 Join us for a Water World Swim weekly workout session on Sunday mornings at Aquatic Park. In the early season we do shorter sessions inside the cove, focusing on acclimatization, sighting, currents, swimming in pace groups and just having fun. The temperatures range through the year from as low as 48F in winter to its warmest in the late summer months up to 62F - though in September 2014, it hit 67F! You can check tide levels and temperatures at the National Data Buoy Center. Always start getting in the water slowly, to let your hands, feet and torso acclimate. 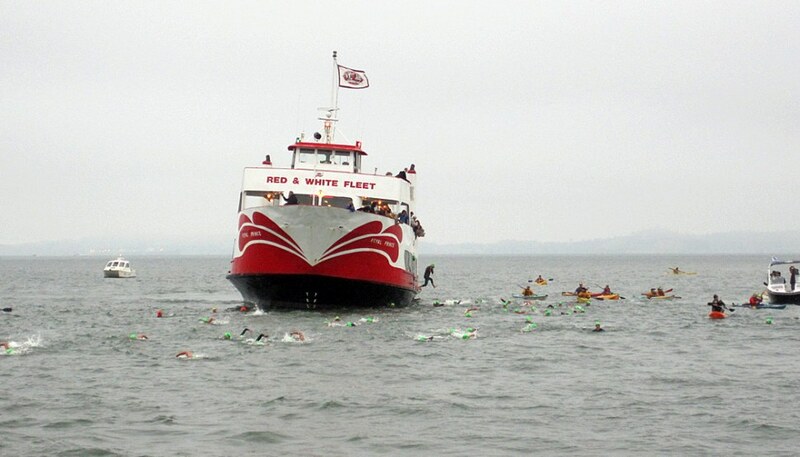 Newcomers to the bay or new to open water swimming will receive instructions from our experienced coaches. Feel free to ask them questions during the session, but pay attention to the areas where you are planning to swim! 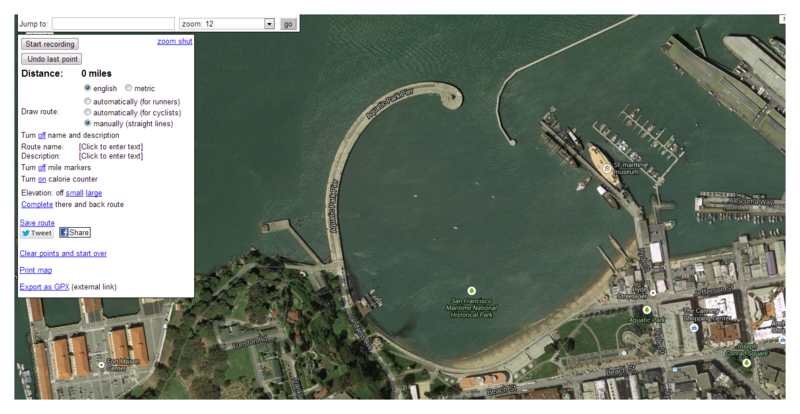 Look around to get familiar with the temperatures and landmarks. After a couple of minutes you may feel like you are submerged in the water – continue moving to avoid stiffness. After your swim write in a log book how you felt, your reaction, and your later reactions. Keep track of your time in the water. Always try to relax - try to keep your breathing rate normal, even though your natural instinct will be to quicken your breath. Always think POSITIVE in the water! The distance of the swim depends upon currents. You may use the Gmap-Pedometer tool to find the basic distance. Click on the manual function and start recording. As you click around on the map it will show the mileage. From the first buoy to the flag is about 260 meters. One cove loop (without going to the extreme) is about 3/4 of a mile. BRIGHT COLORED SWIM CAP You must be seen easily by other swimmers, rowers or the pilots, or your relatives that came to see you from the beach. If you're swimming with Water World Swim, we'll provide you with one.